Family Treatment at Maryland Addiction Recovery Center is More Than "Family Education"
Here at Maryland Addiction Recovery Center, one of the main areas of focus we have in our addiction treatment platform is the family piece of treatment. One of the major philosophies we have is treating the family as well as just the client. In our research before we opened our doors to the local community, if was our belief that family treatment in the Baltimore area was lacking. This is not to say that there weren’t many good family programs in place, but those typically consisted of a family education day, a family education weekend or sometimes a phone call to a family member of a client in treatment. Our philosophy goes much deeper. At Maryland Addiction Recovery Center we believe in a comprehensive approach to drug and alcohol addiction treatment and that includes a comprehensive treatment approach for the family as well. Educating a family about drugs and alcohol, addiction as a disease, the consequences and dangers of addiction and other similar information is great. All families should have this information. 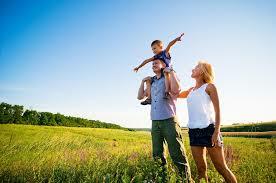 However, we believe that addiction treatment must offer more for the family. A day or weekend of education for family members is not sufficient to achieve long term, sustainable recovery outcomes for either the suffering addict or the family as a whole. A family that has been negatively affected for ten years by a child with a cocaine or heroin or OxyContin addiction needs more help than a weekend seminar. A spouse on the brink of a divorce after their husband of wife has been drinking for 15 years cannot sufficiently be given adequate tools for the situation in a “family day” at the treatment center. A family needs to be offered help too. A family needs to be offered caring, compassionate, comprehensive treatment too. Issues like enabling, codependency, healthy boundaries and enmeshment pervade a family dealing with substance abuse. These issues must be addressed throughout the family structure in treatment. All too often in addiction treatment a parent or a spouse or a loved one will drop an addict or alcoholic at the doors of a drug rehab and say to the staff or therapist “fix them” and then expect to come back in 28 days to pick them up good as new, with all the broken pieces neatly in place. A 28 or 30 day program of treatment is an old, antiquated idea of addiction treatment. It is great for an initial stage of primary treatment, but longer term substance abuse treatment is necessary to ensure better outcomes. Think about it. If the client is using heroin or prescription opiates or benzodiazepines and is in need of a detox, much of the time in a 28 day program is spent just lifting the fog and becoming cognizant again. That leaves maybe two weeks where psychotherapy can be employed and possibly be effective. Two weeks to “fix” someone with years of a drinking or drug addiction. That math doesn’t add up. Add into the equation the idea of sending that client, after their INTENSIVE two week treatment regimen [insert sarcasm], back into the same family structure where the same family dynamics are taking place. Sure, maybe the family has received some education in a family program, but again this is a recipe for disaster. At the very least it is not a recipe to support a healthy, long term sustainable recovery outcome for the client or the family. A person that suffers from addiction or alcoholism is sick. And that sickness will almost always intensely affect a family structure in a negative way. Therefore, no matter how much the family is trying the help the suffering loved on, there is ultimately need for the family to get help as a whole, to receive treatment, to deal with issues, to get well. Here at Maryland Addiction Recovery Center the patient is the family and the family is the patient. The entire family dynamic needs to be examined to determine if there’s any issues that need to be addressed and then treated. Through our comprehensive family addiction treatment philosophy, we identify, address and then offer treatment for the family as well as just the client. Families that deal with addiction and alcoholism need help. Yes, they need education. They also need to know they are not alone. They also need to know that other families are dealing with the same issues. They need peer and community and clinical support. They need to know hiding their loved ones addiction is not helping the situation. They need to know that help is available. They need to know the fear and sadness and helplessness they feel is normal and that others have gone through similar situations and that hope is available and recovery for their loved one is possible. But families also need to understand that they need to be engaged in the recovery process. Families need to understand that often the family dynamic needs to be fixed, not just their loved one. Family issues and family dysfunction must be addressed in order to recreate a healthy environment for everyone involved. The commitment of the entire family is needed in order to create the most sustainable, healthy recovery outcome for the client and for healing to occur for the family unit.